“On the evidence of this brilliantly allusive study of Ingmar Bergman, John Orr, had it not been for his premature passing, would have become one of the world's most influential of film analysts. 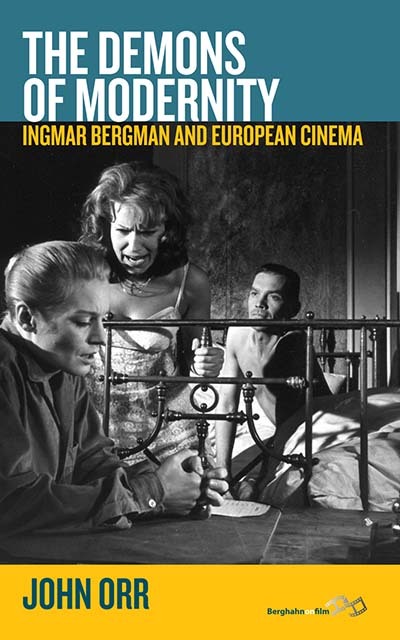 Even beneath the shadow of the plethora of books on Bergman, Orr's approach is distinctive… He emphasizes the maestro's courageous leap into Modernism in the early 1960's, and the profound influence he exerted on his contemporaries. It is a pleasure to read Orr's elegant prose, which eschews the obtuse terminology of semiotics in favor of a lucid, almost passionate approach to the material. Bergman, one feels, would have enjoyed this book.” · Peter Cowie, author of Ingmar Bergman, A Critical Biography. John Orr† was Emeritus Professor at the University of Edinburgh where he taught film studies. He contributed to many film journals, and his books include Cinema and Modernity, Contemporary Cinema, The Art and Politics of Film, and Hitchcock and Twentieth Century Cinema. His most recent book is Romantics and Modernists in British Cinema (Edinburgh UP, 2010).